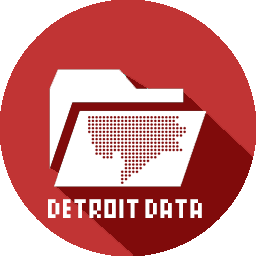 This map by Yellow Pages, Michigan Bell Company was a part of the “Complete Illustrated Guide to Dynamic Detroit with Detailed Maps” in 1959 ($0.60). Hastings Street had not yet been bulldozed for I-75 construction. 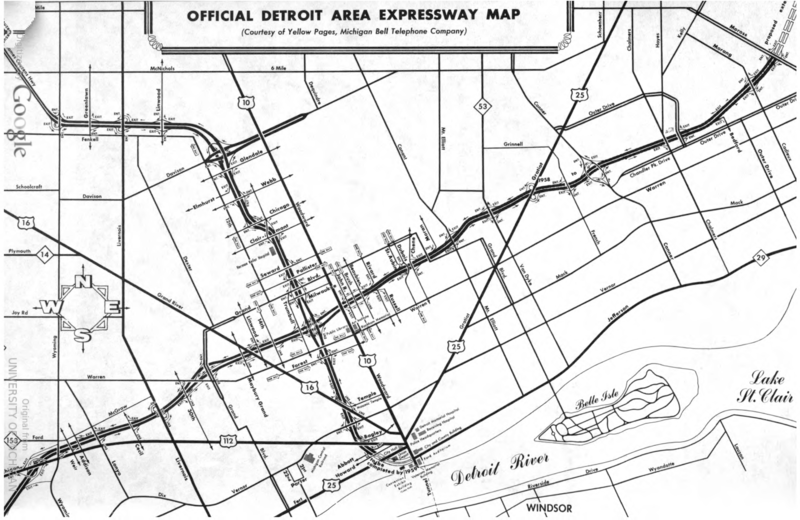 This map also demonstrates how Detroit’s spoke streets used to be numbered as part of the expressways system. For this reason, many of the spoke streets are much wider than they need to be based on low traffic usage.